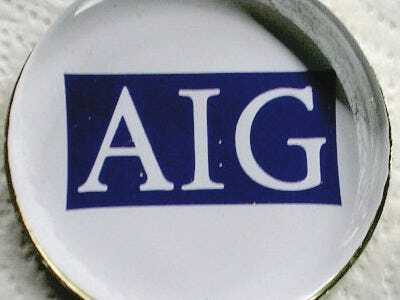 The former general counsel of AIG, Anastasia Kelly, left the struggling insurance giant when it became clear TARP-related pay requirements would result in a huge pay cut. She argued that lower pay triggered a clause in her contract that would allow her to leave and collect severance. She will receive about “about $3.04 million in severance payments from AIG in biweekly installments until December 2011,” according to The Wall Street Journal’s review of AIG’s annual report. Yesterday, DLA Piper announced Kelly has joined their Washington office as Of Counsel. Of Counsel, for the uninitiated, basically means a more flexible schedule for a usually guaranteed pay, rather than a partnership position, which carries larger responsibilities but is rewarded with profit-sharing. Kelly told Carrie Levin of The National Law Journal that “easing into” working again is just what she wants to do. “I really want to take some time off and really figure out what I want to do and how I want to do it,” she said. When old friends at DLA Piper approached her, she asked what every lawyer hopes to some day be in a position to inquire, “[I]s there a way I can do it where I’m not full-time?” That’s exactly what Kelly said she asked, and DLA Piper was happy to comply. Kelly, of course, took a lot of flak for demanding to be paid her original contract amount for a company that is barely surviving and was being propped up by the government. But a contract is a contract, she said. And, right or wrong, she certainly appears to have gotten the last laugh.